The walls are high in Closed Canyon, reaching 100 feet from the sandy trail below. 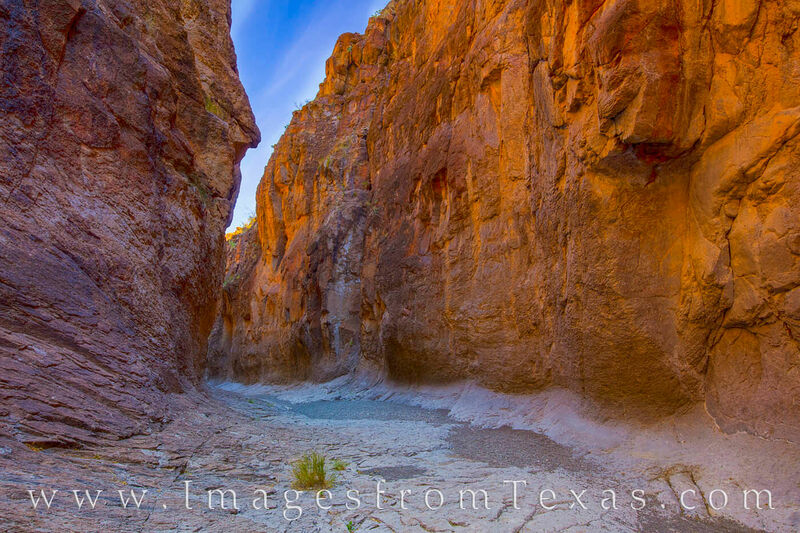 This slot canyon found in Big Bend Ranch State Park is a fun short trek to explore. The canyon cuts through the Colorado Mesa before pouring out into the Rio Grande below. The hike is not far - only .7 miles one way from the trailhead, but it is fun to stand in the shade beneath the towering rocks above.